Update: F-Secure Anti-Theft is no longer available in its current form. F-Secure released F-Secure SAFE, a new application for Google's Android and Apple's iOS operating system that is available for free on the Google Play Store. F-Secure Safe may be used to locate lost devices and to protect data stored on those devices; that is just one of the features that it offers though. It protects against malware, includes a safe browser to access important sites, and identifies applications that access personal information. A lost or stolen cell phone can be devastating, considering that the phone may contain private data and information that may be used for identity theft or other criminal activities. F-Secure Anti-Theft For Mobile is a free security software for cell phones running Symbian OS, Windows Mobile or Android. It offers several options to take control of the situation. The key features of Anti-Theft for Mobile are the ability to remotely lock the cell phone, locate it and to wipe its data in case it looks like the phone is lost forever. 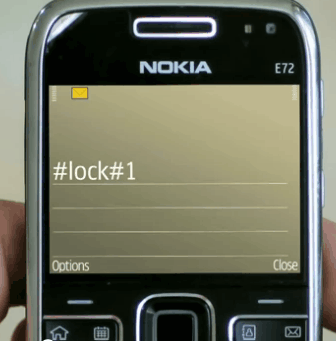 Send #lock#YourCode to the stolen or lost phone. Will lock the phone, only option to unlock it is to enter the correct password. Send #locate#YourCode to the phone. Locates the phone and displays a link to Google Maps that can be used to find out where the phone is located. Send #wipe#YourCode to the phone to delete all confidential data on the phone. F-Secure Anti-Theft For Mobile will immediately lock the phone if the SIM card is changed in the phone. The new cell phone number is automatically send to the owner of the phone. Take a look at the following video that visualizes all the features. F-Secure Anti-Theft For Mobile was a free security software for cell phones running Symbian OS, Windows Mobile or Android. It offers several options to take control of the situation. The apps' successor, F-Secure SAFE, is still available. it seems cool enough , but isnt it easy just to reformat / re-flash the phone using some external connection ? Ore how would you do that? You somehow need access to the phone first before you can do anything, but I’m not a cell phone expert either. So, anyone wants to weight in? Flashing new firmware by overwriting the existing one is very easy even non technical person can do that with currently available software(s). Of course, i don’t want to reveal the details further. I wonder, in terms of comparison how does this rate to Wave Secure for Symbian phones. uncle Google says you cant unlock a nokia phone using re-flash , so i guess you got to go deeper , but i wasn’t looking too hard.. Most Smart Phones and Pocket PC’s support some form of a “Hard Reset”, which would wipe out the program. That said, this is a pretty cool program. I use something similar called SmartProtect, that I got from XDA (I think). More commands, like remote reboot, power off, send GPS, etc. Hah anyone can uninstall this software without password unless phone is always locked manually using antitheft software. Yoy just need to uninstall it from symbian programs utility. Have you tried to recover any data after the data wipe has completed? Im just curious because just resetting phone does not really wipe anything.